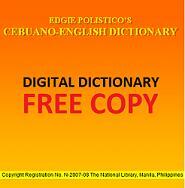 List of Bisaya terms that begins with letter M with meaning and translations in English language. Page 1 of 25 pages. Each term may have information like root word, part of speech, usage, synonyms, antonyms, etc.